It wasn’t until I got back home and was able to look up information on LOOPER that I realized that the director of this movie also wrote and directed “Brick.” Now that really threw me for a loop (sorry, couldn’t resist) because I loved “Brick” and thought it highly original and couldn’t take my eyes off the screen while watching it. But in the case of LOOPER I kept thinking of other movies such as “The Terminator” and “The Fury”and looking at my watch wondering when it was going to be over with. 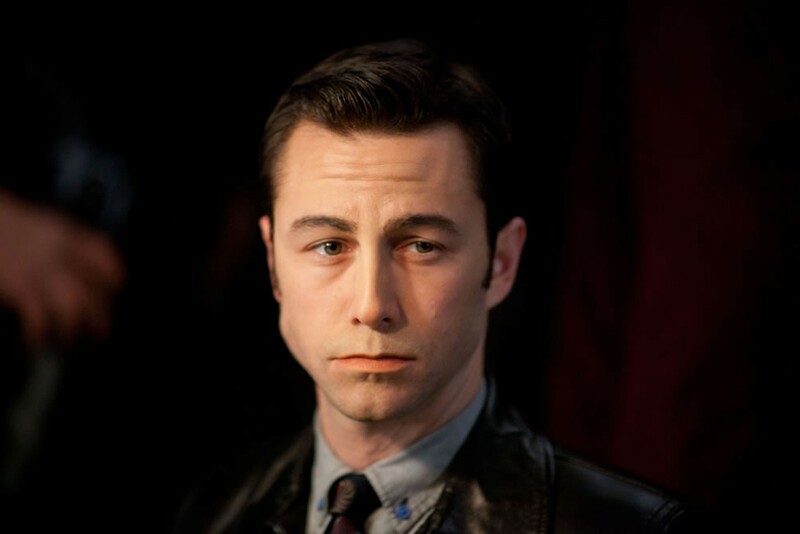 Joe Simmons (Joseph Gordon-Levitt) works as a Looper in the year 2044. His job is a simple and extremely lucrative one. In the year 2074 time travel has been invented and then promptly outlawed. Organized crime bosses get hold of the technology and use it to send people they want killed back in time to 2044 where a Looper waits to dispose of them. The job comes with one hell of a retirement clause. When a Looper’s time is up in 2074 he’s sent back in time to be killed by his younger self in 2044. 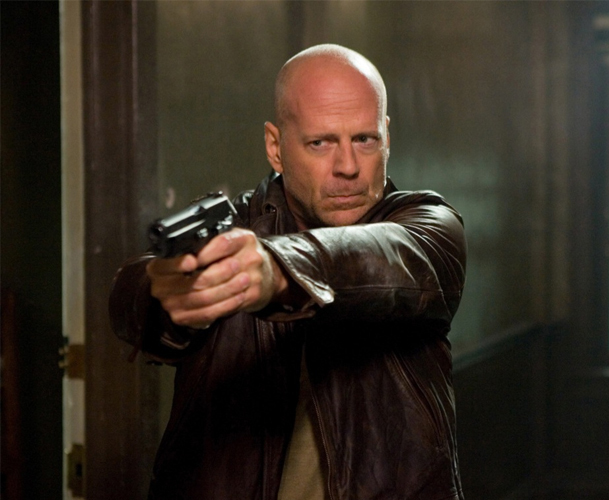 This is the dilemma that faces Joe when his older self (Bruce Willis) is sent back in time. But Old Joe manages to escape being killed at the hands of his younger self. He explains to Young Joe that in 2074 there’s a criminal mastermind called The Rainmaker who is closing all Looper contracts. Old Joe sent himself back in time and intends to find The Rainmaker who in 2044 is a ten year old child. Old Joe intends to kill him, thereby changing the future and preventing the murder of Old Joe’s wife. Young Joe really doesn’t care. He’s happy with his life the way it is and as long as Old Joe is still alive he’s on the run from his boss Abe (Jeff Daniels) who himself is from future and manages the Loopers. Abe has his elite crew of enforcers, The Gat Men who are hunting both Young and Old Joe. Thanks to a piece of a map he manages to get from Old Joe, Joe has the location of one of Old Joe’s targets, a boy named Cid (Pierce Gagnon) who lives on a farm with his mother Sara (Emily Blunt.) Sara isn’t inclined to let Joe stay at all but he’s able to persuade her that they need his protection. Turns out that they may all need protection from Cid who possesses incredibly powerful telekinetic powers that enable him to strip flesh from bone with just a thought. Will Cid’s power tip the scales in Joe’s favor when it comes time for the showdown between Old Joe and Young Joe? And can Cid’s power protect him from Old Joe who is convinced he will grow up to become The Rainmaker? LOOPER has gotten wonderful reviews and I can’t help but think that maybe it’s me that’s got it wrong as plenty of reviewers see something in the movie that simply escapes me. The movie takes itself far too seriously for my taste. It sets up a wonderful situation but takes it into a dour and dark direction that I really didn’t like. I was looking forward to a lot more between Old and Young Joe and didn’t get it. Bruce Willis and Joseph Gordon-Levitt have a surprisingly short amount of screen time together. And maybe it’s just me but it seemed to me that certainly there must be more efficient ways of killing people and disposing of their bodies than sending them back in time. I also didn’t like how the movie abruptly changes gears halfway through and almost becomes a brand new movie with all new characters by the time we get to the farmhouse. Then we have to be dragged back to the movie that we started watching forty-five minutes ago so that everything can be rushed to the conclusion. It’s not even exhilarating to see Bruce Willis mowing down hoards of Gat Men with a pair of machine guns as you would think it would be. And that’s because I got the impression that somebody just up and thought there should be a scene of Bruce Willis with machine guns in each hand because it’s expected. And don’t get me started on the ‘romance’ between Joe and Sara which makes absolutely no sense whatsoever. As does the whole subplot of Cid having telekinetic abilities. Early on in the movie we’re told that due to some random mutation, 10% of the population has telekinetic powers. Most people can barely lift a quarter or a Zippo lighter but Cid can destroy whole houses if he gets pissed off enough. 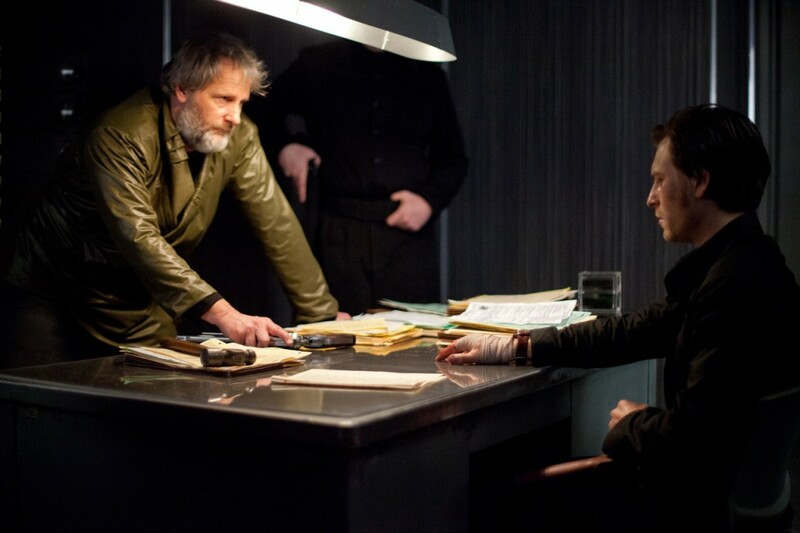 So should you see LOOPER? I’m going to give it a grudging recommendation. It could just be that I was looking for a different type of movie and didn’t get it which accounts for my disappointment. 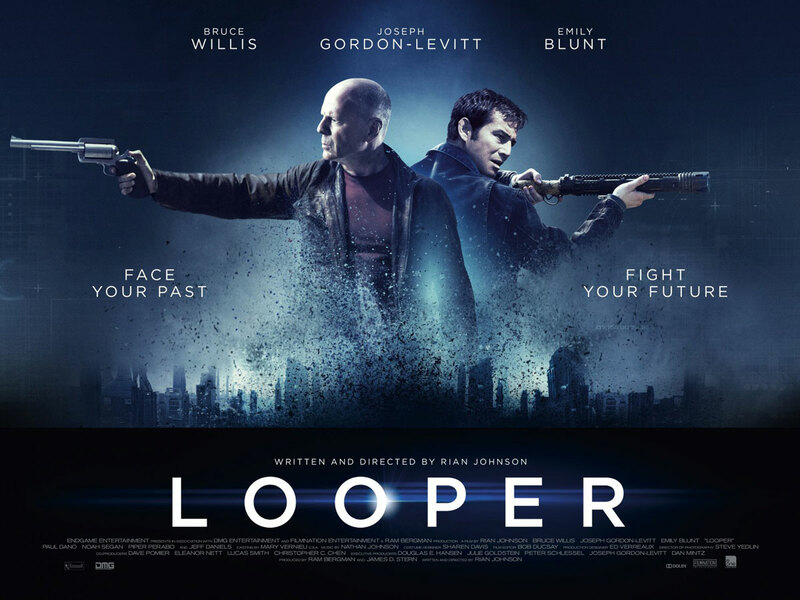 I will say that this isn’t simply an action movie in sci-fi drag so if you are in the mood for a serious piece of science fiction in your current movie diet then LOOPER may be just your main course.